When I think of solid home construction, I think of craftsman style. Even the name “craftsman” sounds strong and authoritative, resulting in quality design and building. Today we’re touring a modern craftsman house with oodles of curb appeal, gorgeous interiors, and attention to detail. I’ve never seen a craftsman style house I didn’t like. There’s just something about the strong lines that makes them stand out in any neighborhood. 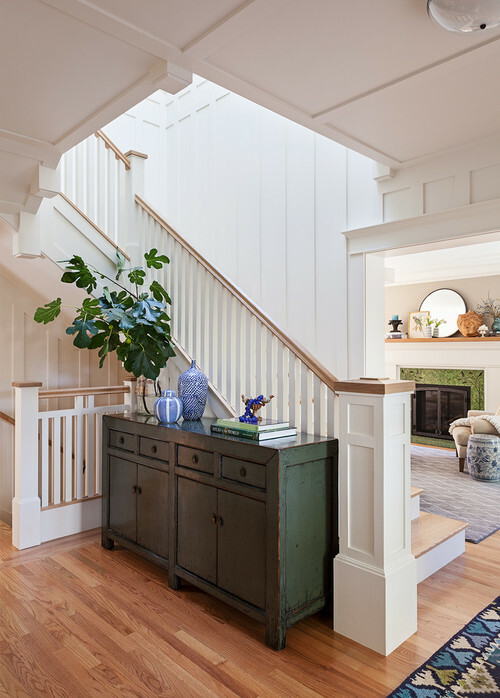 Painted trim frames a wooden door that opens into a stunning foyer. The rug at the door mimics the colors of the home’s exterior. I like the way this ties the outside of the home to the inside. 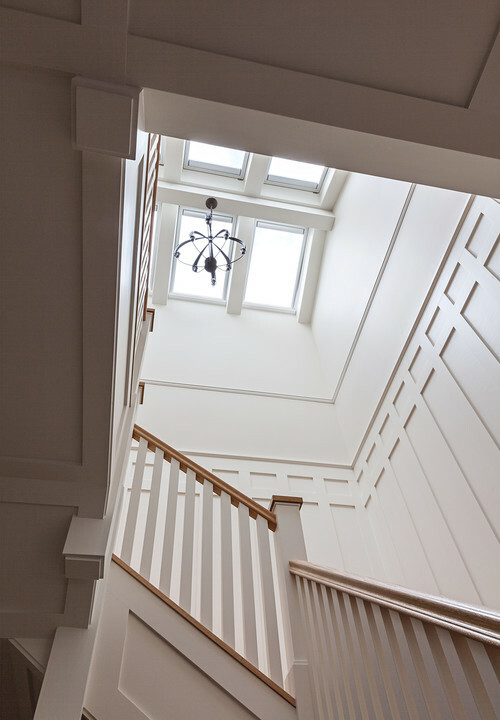 White paint in the foyer allows all the architectural detailing to stand on its own. Not a lot of need for embellishment in this space. A green-tiled fireplace awaits you in the living room. Also in the living room is a charming window seat with simple Roman shades. I like the gray paint color on the wall and am searching for something similar for our dining room. The kitchen is my favorite room in this stunning modern craftsman home. I like the dark range hood that matches the kitchen island. 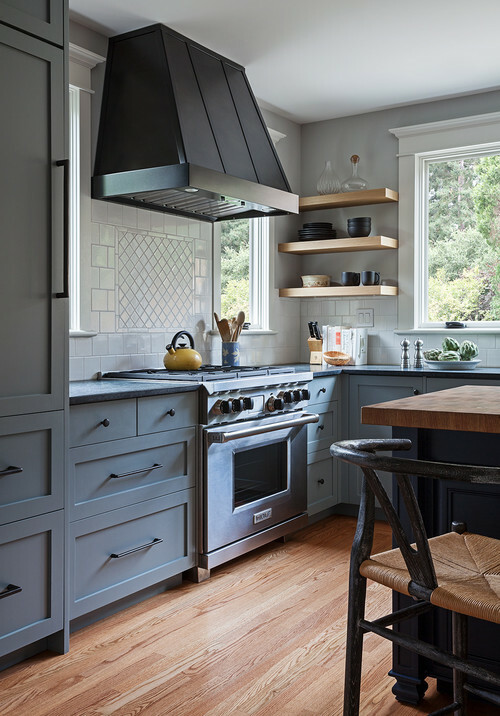 The Shaker style cabinets are a pretty, complementary shade of gray. 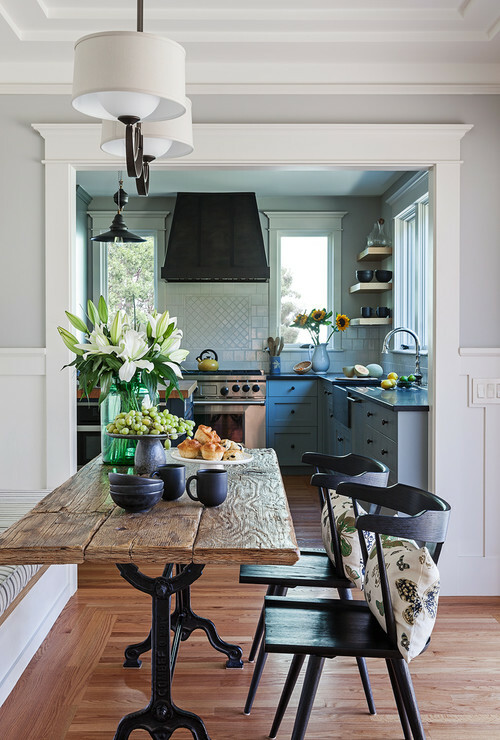 Just off the kitchen is an equally charming breakfast nook with a rustic farmhouse table. 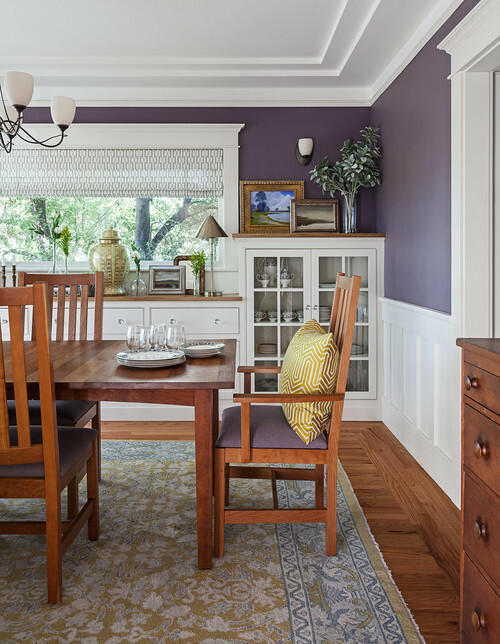 Dark lavender is a pretty yet unexpected hue in the craftsman style dining room. 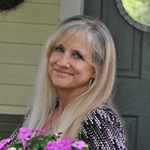 You can see more lavender rooms that were featured earlier this week on my blog. All of the white trim lends an air of crispness to this home. Perhaps most impressive is the craftsman staircase that literally looks like it’s climbing toward the heavens. At the top of the stairs is a cozy loft. The view outside make you feel as though you’re in a tree house. 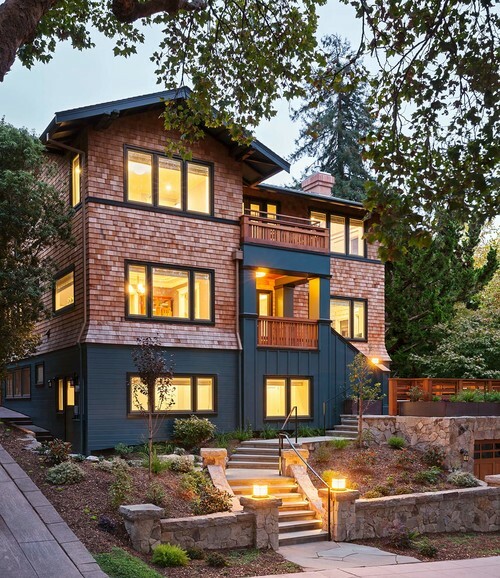 Have you noticed the abundance of windows throughout this modern craftsman home? The bedroom feels like you’re sleeping in the treetops. 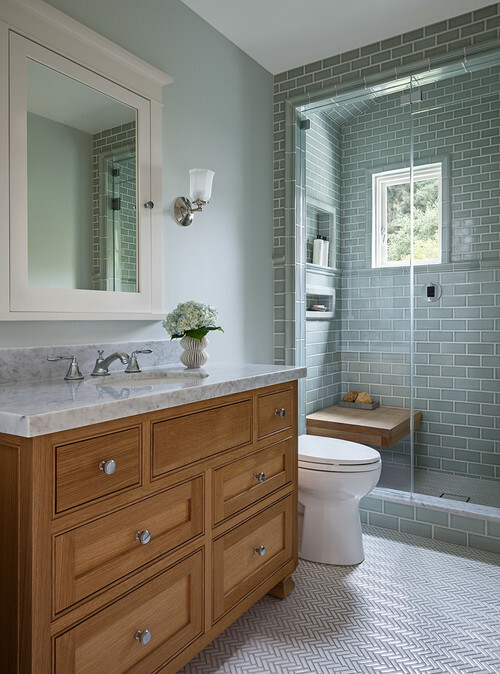 Herringbone tile graces the bathroom floor while bluish-gray subway tile adorns the walk-in shower. I hope you enjoyed today’s modern craftsman home by Sogno Design Group. 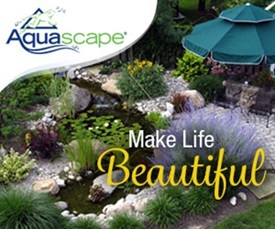 You can see more of this stunning home at Houzz. 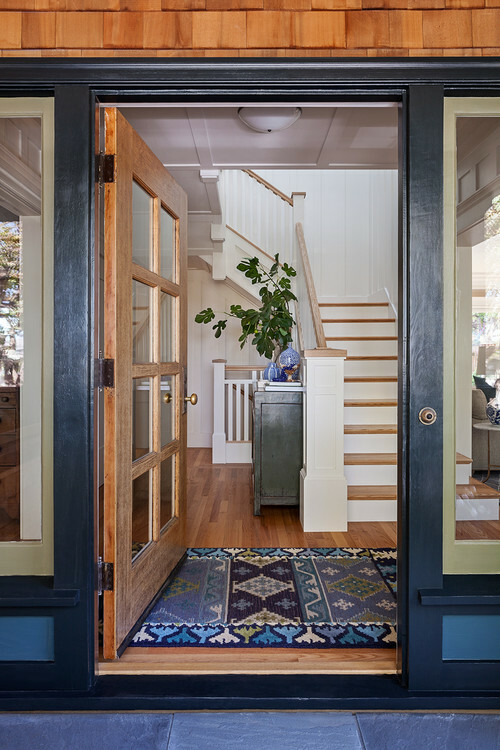 Beautifully done home; really love how the entry prepares you for the rest of the home. 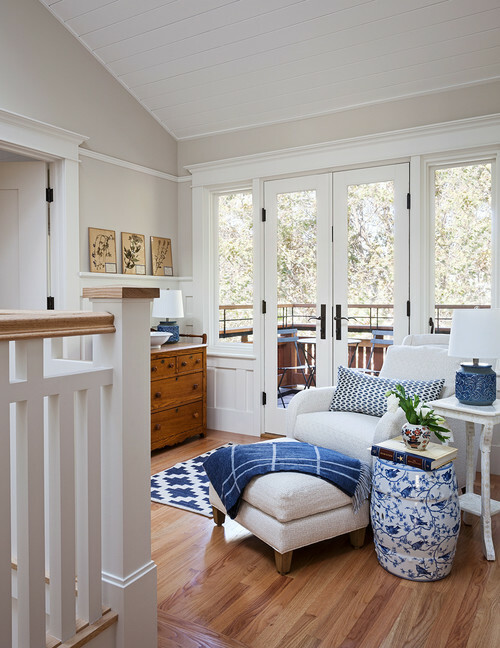 Their use of blue and white decor is unusual for a Craftsman but it really works and brings a fresh look to this lovely home. 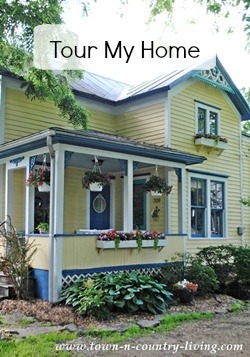 I agree with Pat M. The exterior colors sets the tempo for the interior. like the blue,green, charcoal/black. Also the natural wood that is used. You can always brighten light colors for all occasions. I find them much easier to work with. This is a really great craftsman home i like the colors and that stairway to the sky. I have always enjoyed that style old or new, they all have their own differences. Just lovely! The built in window seats I have always craved. 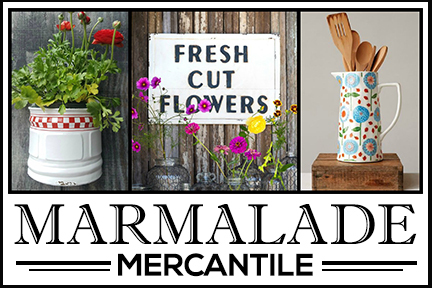 Love the colours too; a very fresh take on a Craftsman.